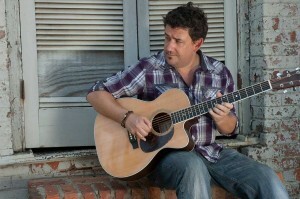 Lance Price is a professional guitarist, singer and songwriter who has been performing across the Southeast for the past 15 years. Pulling from a wide variety of influences from country, rock blues and R&B, Lance creates a signature sound that can captivate and entertain any audience. This is showcased in Lance’s long awaited debut album, Macon County Line. Based out of Atlanta, GA, Lance brings his musical abilities to a few different projects. He creates a wall of sound as a one man band with his acoustic guitar, effects and loop pedals. This sound is taken to a whole other level when he teams up with longtime friend and fellow musician Wes McElmoyle on violin and mandolin. Lance also brings his electric guitar skills to his own Lance Price Band. Catch Lance Price with Lance & Wes, Lance Solo Acoustic, Last Five Standing, The Lance Price Band. That's weird! There's nothing scheduled. Probably a technical issue. Check back soon! Subscribe to weekly and/or occasional emails to stay on top of what Lance is up to and where he’ll be playing.